VH Sign Company was established in March 1982 by Valerie Howe, and her husband, Herbert Howe, as a female owned and operated sign business. Continuing with the tradition as a family-owned business, Mrs. Deborah Conway, daughter of the founders, is currently the President and her husband, Cliff Conway, manages the outside sales. VH Sign is an MDOT certified woman-owned small business. It is also certified in Virginia, as well as with the Metropolitan Washington Airports Authority, and MBE certified in Prince George's County, Maryland. Pictured at left is Elsie. 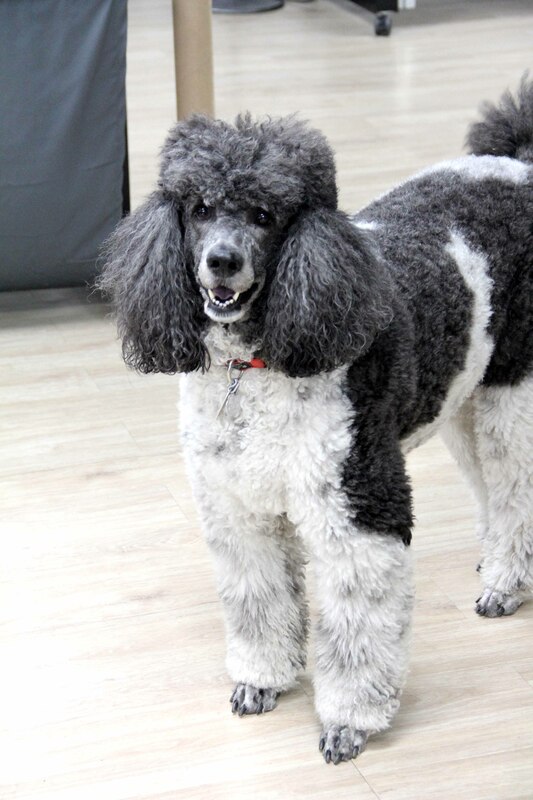 Elsie is a particularly vocal standard poodle who is happiest to see you if you bring her a treat. VH Sign Company is located two minutes off the Capital Beltway (I-495) in Upper Marlboro, Maryland. Take Exit 11A and merge onto MD-4 S / Pennsylvania Ave. Turn right at Old Marlboro Pike. Turn right again - still on Old Marlboro Pike. Turn left at Penn Randall Place and follow to 8201 on your left.